Explore all your options in the many unique Yosemite National Park hotels and lodges available, so you can find the perfect place to stay when coming to visit. You have a wide choice of accommodations when visiting the Sierra Nevada Mountains. You can choose among the many hotels near Yosemite National Park in gateway communities or you can stay right in the park, up close to all the fabulous sights and attractions. The lodging in Yosemite consists of many types, from upscale accommodations to unheated canvas tents, all with views of some of the park’s most famous spots. 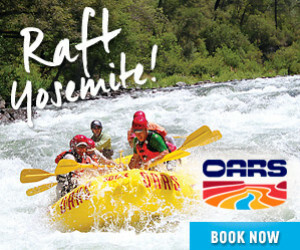 The closest Yosemite National Park lodging to the famous Yosemite Falls is this popular hotel in Yosemite Valley. Standard rooms, lodge rooms and large family rooms offer daily maid service. Getting a room with a view of the falls is a real treat. Formerly the Ahwahnee Hotel, the most luxurious accommodations within Yosemite provide a historic stay at The Majestic Yosemite Hotel. Besides being designated a National Historic Landmark, this hotel offers views of Half Dome, Glacier Point and Yosemite Falls. Every room is a visual delight. 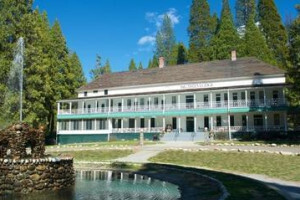 Formerly Wawona Hotel, Big Trees Lodge can be found in the southern part of the park in Wawona. 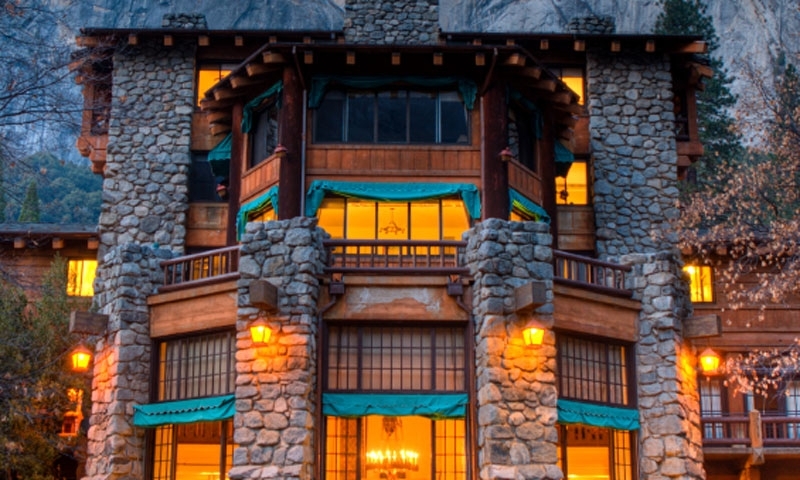 This hotel is one of the oldest mountain resort hotels in California. There are numerous adventures to be had right out your front door. Housekeeping Camp is a unique lodging option, open from April to October, with 266 units with concrete walls, floor and canvas roof. Free shuttles will take you where you want to go in the valley. Formerly Curry Village, stay in a motel room, cabin or tent cabin for reasonable prices in Yosemite Valley at Half Dome Village. Many popular sights are right nearby, making this a popular lodging choice. The Tuolumne Meadows Lodge is at an elevation of 8,775 feet in the High Sierra. A perfect base for many outdoor adventures in Yosemite National Park, you’ll enjoy the rustic accommodations in this beautiful sub-alpine meadow. Among all Yosemite Park hotels, the White Wolf Lodge seems to be the least crowded. Located between the valley and the high country, this lodge is a collection of cabins and canvas-covered tents where you can relax between adventures in the park. Get all the information you need for your visit to Yosemite, from camping information and hiking trails to history facts, cell phone coverage and fees and permits.